Scaled Composites is proud to announce the rollout and first flight of its most recent project, experimental aircraft Model 401. 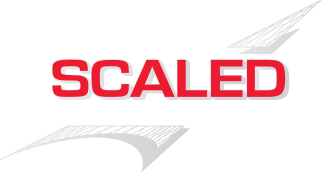 Scaled worked with a proprietary customer to build two vehicles to demonstrate advanced, low-cost manufacturing techniques and to provide aircraft for research flight services to industry partners and the United States government. The two vehicles were designed to be identical in outer mold line and performance, with each aircraft powered by a single Pratt & Whitney JTD-15D-5D engine with 3,045 pounds of thrust. The vehicles are capable of flying Mach 0.6 with a service ceiling of 30,000 feet and have a wingspan of 38 feet and are 38 feet long. They have an empty weight of 4,000 pounds and a maximum take-off weight of 8,000 pounds with an endurance of up to three hours. Aaron Cassebeer, Project Engineer said, “This is such an exciting time for us. Scaled is at the forefront of experimental aircraft development and I am fortunate enough to have a front row seat.” He went on to say this about the mission, “Today was a great day for our test team. We had a great flight and we are looking forward to the future test program.” This successful first flight is the beginning of the flight test phase for vehicle number 1. The Scaled team plans to continue envelope expansion on the first aircraft as they move toward first flight of the second Model 401 vehicle.